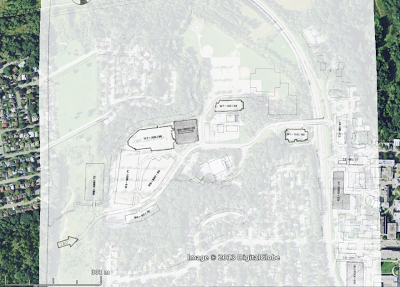 Another Google Earth project, this time with an image overlay of the proposed "new" west campus parking in the 1960s. I lined up the streets with the current satellite image to reveal the layout of the parking that was to displace the nature sanctuary of Coldspring Valley. There are dates ranging from 1968 to 1975 on each parking area, indicating the phased approach to building the surface, and intended-but-never-built, multi-level parking structures. 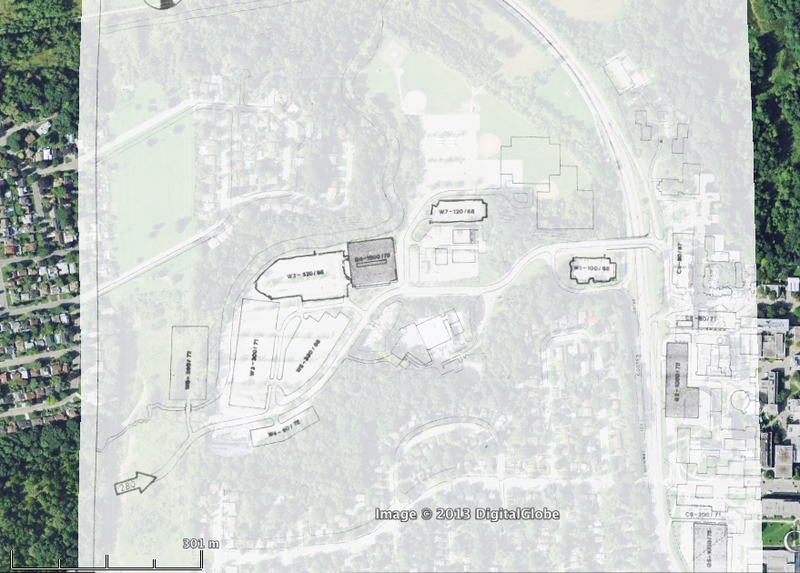 The one surface lot was never built west of the creek, but other surface lots were added to the north of the planned lots.